With the West experiencing one of its most severe wildfire seasons ever, the newly sworn-in Forest Service chief, Tony Tooke, has walked into a challenging situation. Tooke has worked for the Forest Service since he was 18, but unlike his recent predecessors, the Alabama native has held no positions in the West. “It’s hard to tell how he will translate what he knows about that Eastern fire environment into the West,” says Don Falk, a professor in the School of Natural Resources at the University of Arizona. 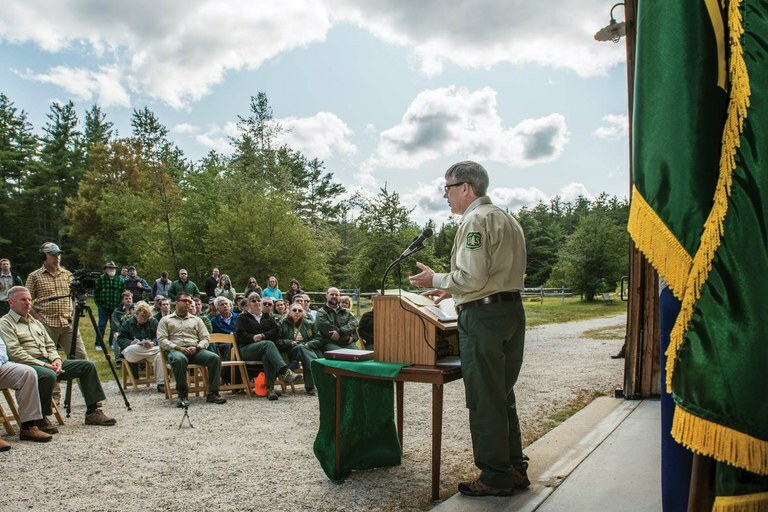 New Forest Service Chief Tony Tooke addresses the audience after his swearing-in by Department of Agriculture Secretary Sonny Perdue in the White Mountain National Forest in early September. WHY IS A TRUMP OPERATIVE INTERESTED IN THE BUNDYS? Roger Stone, an on-and-off adviser of President Donald Trump, has become a public supporter of Nevada rancher Cliven Bundy and his co-defendants, who are currently awaiting federal trial. The case stems from Bundy’s 2014 armed standoff with the Bureau of Land Management and National Park Service over his illegally grazing cattle. Stone made public appearances in July in Nevada to urge Trump to officially pardon the Bundys, and name-dropped them at a conservative leadership conference in Las Vegas in mid-September. Stone is an odd bedfellow for the Bundys, since he is a longtime Washington, D.C., insider with no obvious connection to ranching or public-lands issues. Stone has served as a consultant for four past presidents and foreign dictatorships. The Florida resident worked as a lobbyist on behalf of Trump businesses in the 1980s and served as a consultant during Trump’s presidential campaign. 10 MILLION: Population of Western monarch butterflies in the United States in the 1980s. 35: Years before the Western monarch population could stop migrating altogether, if current trends continue. 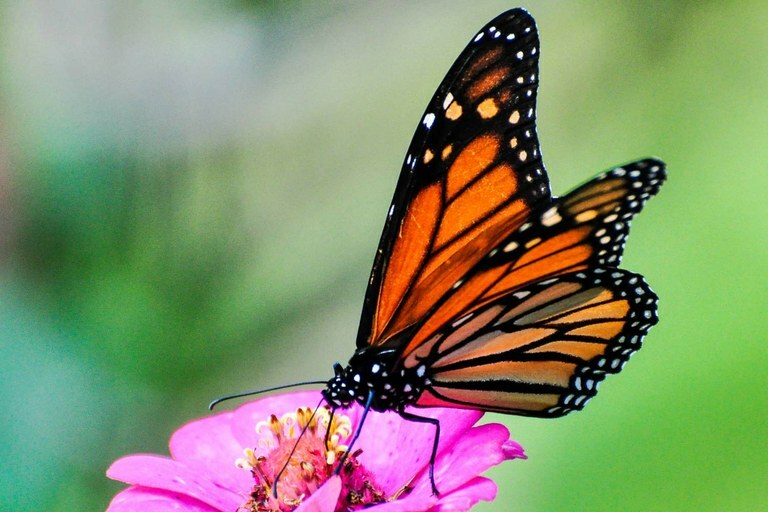 The population of monarchs living west of the Rocky Mountains has shrunk by 97 percent in the last 35 years, according to an analysis published by Washington State University in September. The butterflies take generations to migrate from overwintering habitat on California’s coast to breeding habitat throughout the West. They face serious threats, including development, which destroys overwintering trees, and the increased use of genetically modified agriculture, which encourages farmers to spray pesticides that kill milkweed. "When you have an administration that is in denial mode about climate change, to have a senator as prominent as McCain make an opening — I think it’s an opening we should take advantage of."